Love truly and unconditionally, for a lifetime. Inspired by the eternal love that Seahorses share our beautifully unique and delicate charm is the ultimate way to profess your love for one another. There can be little doubt that the quality of the Clogau beads, this one and the others I have bought, is second to none. They already look special on the webpage but that does not prepare you for how exquisite they are when you take them from the little pouch in which they are delivered. Everything screams quality and, trust me gentlemen, she will think its worth it. 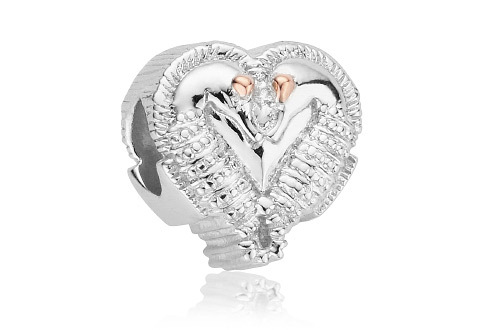 I really like the way this bead has been designed and how the two seahorses create the shape of the heart. It has a good weight of silver to it and a feel of quality. The gold eyes are only on one side of the bead and arent very noticeable, but overall a really lovely bead.